Early Excellence has a proven track record of delivering high quality and inspirational CPD in schools across the country. We shape programmes of support, consultancy and training to meet the needs of individual schools and small groups of school working together. With specialist expertise in Early Years and Y1, and with a proven track record of achieving both an immediate and long-term impact on outcomes, we make a great strategic partner for improving schools, visionary MATs and other innovative learning alliances. We can work with you to plan a tailored programme of support – from a one-off event to a whole programme of delivery. 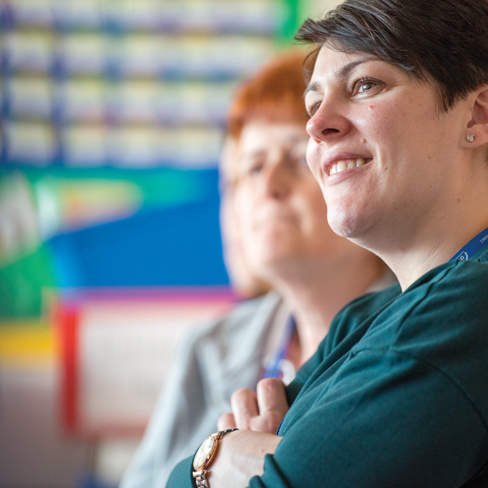 We engage with Senior Leaders, Phase Leaders, teachers and support staff providing a wide range of CPD opportunities to build confidence, strengthen leadership, improve teaching and raise outcomes – all to meet specific development needs.